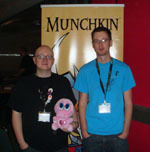 Jerry and Mike, the Geek Generals who lead PAX into the nerd-flavored future, were kind enough to stop by our Munchkin area during the show. They're the webcomic artists who create Penny Arcade, and the brains from which both PAX and Child's Play (an awesome charity, BTW) spawned. 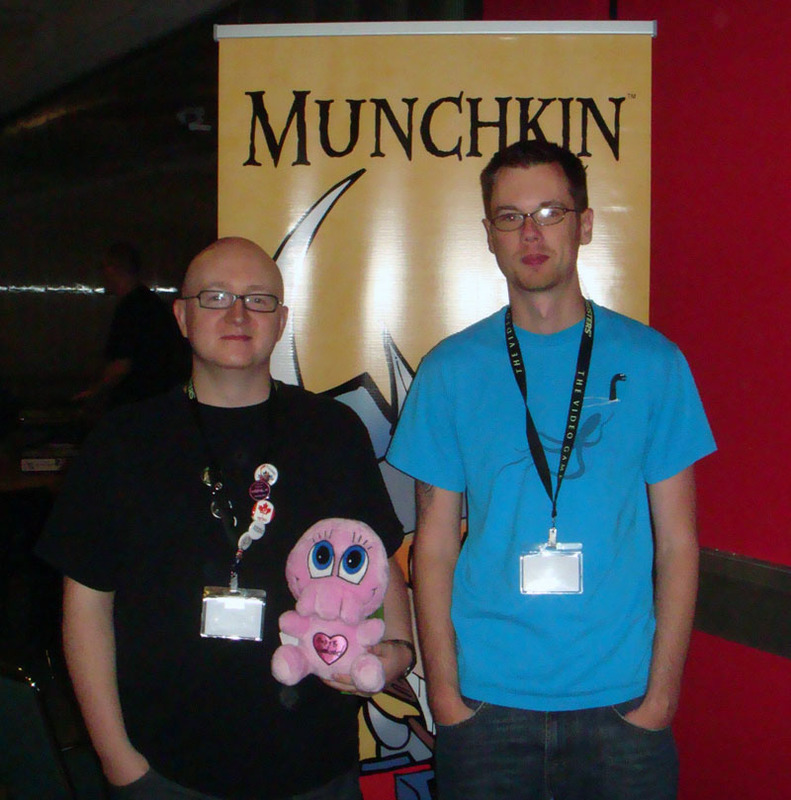 After signing a couple of Chibithulhu and getting a quick picture, they were wisked away by the tide of activity that is the largest geek gathering on Earth. We'll definitely have a presence at PAX next year. To what extent that presence will be retail, marketing, or just hanging out will be determined . . . soon. We've got Top Men working on it.